Health is wealth ,so do not eat meat.Vegetables are good for fitness and good health. Always eat vegetables . Love with birds , animals and cows .Meat is very danger for human body. All the scientists have proved it that eating of meat is very harmful for human body. They are giving arguments that by eating of meat you can capture in the dangerous disease like fat , increasing of cloistral and heart problems . Even cancer is near one step to the persons who eat meat . Even Uno declare World vegetarian day .So we should leave meat .Why are you killing the pitiful birds and goat and cow . If you will eat meat , you will be also punished by God . Some people are saying that it is the basic food of human being but I say that this is not the food of human being . Science declares that we are basically vegetarian ,so sacrifice to eat meat . 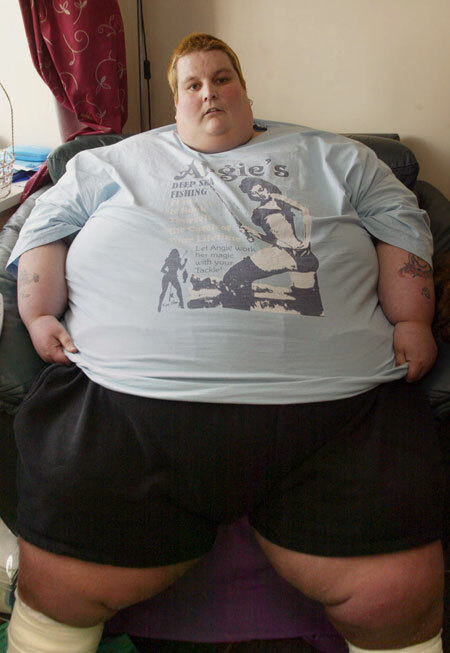 its false.Everything has a limit and u should do everything in limit.The photos you have showed is a obese person and not that by eating meat he has become like this.Yesterdays only the US researchers and scientists proved that people who are vegeterains have more chances of brain shrinkages. Our scientists have proved that meat can not digested by our intestine so undigested meat in our stomache creates dangers diseases . We are not talking about more eating , so there is no question arise about limit. The picture you are seeing , gives every person different meaning . But it is true that eating of meat will surely increase fat but you must sacrifice other bad things. There is no need writing the matter of other but keep you hand on your heart and ask is it right to kill the creature of god just for the sake of eating them. God has make million vegetarian food . Eat them and enjoy. Live and to be live. I think you guys are mixing up the ethical and health aspects of eating meat. I will not comment about the first but I have something to say about the latter. Not all meat is fatty/cholesterol rich. In fact, many people consume lean meat to build muscle (not fat) due to the high protein content. How the meat is prepared is also important--for instance, the greasy meat paddies found in fast-food restaurants are unhealthy. First of thanks for comment on my blog . This blog is on my thought and I am writing what the true . In this world there are large number of vegetrian food which can make easily healthy to human being then why do you eat meat . This is not fact that it have protein content but it has many micro germs which are very harmful for human health . I can explain you that when we keep 1/2 why a bad smell is starting from meat where you can not stand only for five minute and vegetrian food can be fresh for 2 to 3 days . It is that vegetrain food is only food of human being and meat . I agree with vegetarian.Eating vegetable is good for each individual's health,as well as saving lives of other beings. 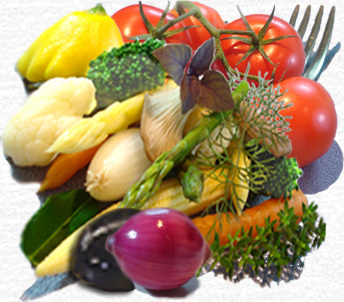 Veggies are needed and must be the real health for those who wants to live longer. Thanks Wangmo for writing comment on my blog and telling truth to the world . Vegetarian food is only food of human being but due to ignorance people are eating meat and involving the dangerous circle of dangerous diseases . Vegetarian food ( Not boil or made by fire ) has also power to treate cancer diseases . I have read your profile and I find that you are living with cancer sign but do not worry , If you have full faith in vagetrain food , I am fully sure that you will surely recover from this disease easily . I also pray to God that he will give you power for recovering from this disease .